I read Anathem in a 982-page mass-market paperback edition, which halfway through began to fall apart under its own philosophical strain, shedding leaves autumnally. This should have been a warning. Anathem is a dense science-fiction novel with a rich setting and its own invented vocabulary, and you’re thrown into the middle of it all, which was really quite enjoyable until I hit the 100-page section where the author summarises the entirety of 20th century physics in pidgin English. Ugh. Stephenson has always needed a fearless editor: everything he’s written since Zodiac has been, more or less, a sprawling mess, sometimes interesting, sometimes infuriating. At best you skip lightly past the talky sections where he’s trying to invent a new philosophy of language or teach you predicate logic. But it’s hard to skip 100 pages without worrying you’ll miss something of critical importance to the plot. Don’t worry—you won’t. Embassytown is far more satisfying, and instead of philosophical discourse we’re thrown into the middle of a thought experiment, the way SF does so well: what would it be like to not have metaphor or be able to tell lies? What if, in language, the signifier and signified were always the same? Miéville does a nice job exploring this, rather as he took on a different thought experiment in the wonderful The City and the City. I’m really enjoying the new direction his writing is taking, as the baroque and gritty world of his New Crozubon novels never really grabbed me. Another experiment, this time in form rather than ideas, is The Tragedy of Arthur. The book includes an entire Shakespeare play, The Tragedy of Arthur (in case you were wondering), with an argument conducted in the footnotes between an Shakespeare scholar and author Arthur Phillips, whose father, also called Arthur Phillips, discovered this hitherto-unknown play between prison stints for, oops, forgery. Arthur Junior thinks the play is bogus, but he’s contractually obliged to write an introduction for Random House, which turns into a 256-page family history of his and his father’s tragedy. Shades of Pale Fire. It’s all postmodern as hell: just before the title page is a list of four titles “Also by Arthur Phillips”, beside a much longer list “Also by William Shakespeare”. Phillips is obviously mixing his real biography with a somewhat—we don’t know how much—fictionalised version of his family. Finally, in the wake of Goon Squad I tackled Look At Me, an engaging read, and rather prescient in its deep-cover terrorist character, given it was written before 9/11. An exploration of identity in modern America, especially in the age of the internet, it has some of the best depictions of loss of identity, or the transition from one to another, that I’ve read. If it weren’t for the Listener book club I wouldn’t have tried it, so I’ll keep an eye on what’s coming up. This entry was posted in Bookishness on 4 May 2012 by Mike. Did you know Gonzalo’s description of Utopia in The Tempest (“No occupation; all men idle, all;”) is plagiarised from Montaigne’s 1580 essay “On Cannibals”, in praise of Tupinambá Indian society? Nor did I. The Tempest/Tupinambá connection is one of many gems from Sarah Bakewell’s approachable and quirky Montaigne biography, How To Live. This is more than the De Botton-ish summary its title suggests: Montaigne’s philosophy is interwoven with both his life, and his writing’s “afterlife”. The three strands run concurrently, not in chronological sequence, a slightly postmodern device you end up wishing more biographers used. Two good hauls of books this month, the first six from one of my favourite bookstores, Hard To Find in Onehunga (the Alexei Sayle I grabbed solely because it contains a very funny song about Doris Lessing†), and the last three from a farewell visit to the Christchurch Book Fridge, a take-one-leave-one book repository created by the Gap Filler project. The best score was certainly I Capture the Castle: a book several women of my acquaintance have rhapsodised about, so expectations were fairly high. I got very excited towards the end, as various textual clues suggested the novel was in fact a cunning metafiction, with an unreliable narrator busily constructing and editing the story she complains about being unable to “capture”. My expectations built to such a point I was hoping the last chapter would reveal an alternative reading of the entire book, like Life of Pi or Atonement. But—alas—it did not. I Capture the Castle seems to be a comfort read for many people, something to return to in times of stress. My post-earthquake move to Auckland felt like it qualified, and as Bruce Sterling’s Distraction was in storage I chose my other comfort read, The Yiddish Policemen’s Union; I seem to get through this book about once a year. I followed it up with Chabon’s memoir Manhood for Beginners, a collection of non-linear vignettes funny, self-deprecating, and engagingly nerdy. Part of my comfort reading as a child was Tove Jansson’s Moomin books, and re-visiting the later ones after 30 years I was amazed by her savvy and craft. Moominpappa at Sea in particular I remember as a child finding eerie and puzzling, but with adult eyes it revealed whole new layers dealing with loneliness, middle age, and the difficulties of solving one’s problems with radical life changes. So that was apposite. Mercifully Hollywood has yet to get its hands on the Moomin books and ruin them the way it’s busily doing to Dr Seuss. Man Alone is one of those New Zealand classics we were supposed to have read in high school—though at my (sports-obsessed) school English classes were non-canonical and we read Alistair Maclean, Frederick Forsyth, and Ian Fleming. In fact Man Alone‘s muscular Hemingwayesque prose, mostly about being the virtues of being stoic and a farmer, would possibly have worked for bored teenage boys. I found it noteworthy that in 1938 Mulgan was writing whare and pa, untranslated but italicised, for an English audience, but “bush hen” and “native owl” instead of weka and morepork. Also, smart young Māori men in 1935 apparently wore “wide purple flannel trousers and broad-brimmed hats with coloured feathers in the band.” I definitely don’t remember learning that in high school. 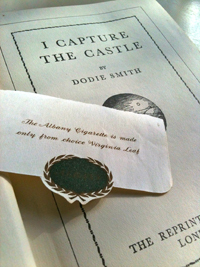 This entry was posted in Bookishness on 5 Apr 2012 by Mike. 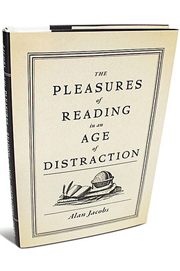 A book most relevant to this year’s reading project, Alan Jacobs’ was an endearing stroll through the nature of reading: why we do it, and why we should, with digressions into the popularity of Harry Potter, and the stultifying nature of “to read” lists. I read it first as an e-book on my computer monitor—it was available instantly and for free from the university library, but for a maximum of 4 days, so slow readers were out of luck. In a discussion of marginalia, Jacobs mentions that Renaissance scholars often just cut out good passages from manuscripts they were reading. “I have been thankful, in the writing of my recent books, to have recourse to the digital version of this practice, which allows metaphorical pasting without literal cutting—how admirably nondestructive.” The irony is that I had to type that quote out, because the e-book was DRM protected to disable the Copy command. Call me juvenile, but one of the highlights was Jacobs’s discussion of counterfeit Chinese editions of Harry Potter books, chronicling his further adventures: Harry Potter and the Hiking Dragon, Harry Potter and the Big Funnel, and Harry Potter and the Waterproof Pearl. These actually sound more interesting than the legitimate ones. All through Cognitive Surplus I was compulsively underlining and marking key paragraphs in an approved Jacobsean manner. Shirky elegantly illustrates how participatory culture—like Wikipedia or YouTube—changes the nature of media, and gives names to many of the phenomena we’re peripherally aware of as users. He attempts to draw up guidelines for successful harnessing of cognitive surplus at the end, although I didn’t find that as successful as his catalogue of examples. But the man is amazingly quotable, and you feel like he actually understands where media is going (his online writing on the state of newspapers has been the best analysis of their woes I’ve read). There was a plenty of light reading too: Lauren Beukes’s Zoo City is an urban fantasy novel, chiefly interesting for its South African setting; Bird by Bird, the funniest book on writing I’ve read; and a sort of hipster farming manual in comic form—the sort of thing that would make an Ideal Gift. A Visit From the Goon Squad was the most fun read of the month, and I flew through it in preparation for the NZ Listener Book Club selection Look At Me, in the queue for March. I have to point out the saddest thing, for a typography nerd, in Visit from the Goon Squad is that a decade hence the default PowerPoint font will still be Times New Roman. But it’s pretty implausible that kids in the 2020s will still type double spaces after full stops. Goon Squad has an asynchronous narrative that begs to be turned into a chronological timeline or narrative timeline. Egan in interviews has mentioned how influenced these interweaving stories were by the movie Pulp Fiction—there’s even a character called Jules. As often happens, one book led to another, and I dug out the playscript for Pulp Fiction, which in turn reminded me of my long-time ambition to stage some of the dialogues from the movie using Punch and Judy puppets (the project would, of course, be called Punch Fiction). I noticed that in the last Wellington Arts Festival someone did this already with marionettes, but I maintain hand puppets would be far superior. They lend themselves much better to violence. And coincidentally, Punch plays an important part in the post-apocalyptic Riddley Walker: puppet shows are both a religious ritual and a kind of news media in Russell Hoban’s far-future Britain. The book’s famous for its invented language—a degraded English—and this makes it a slow read, but what’s engrossing about is the unreal touches, which verge on magic realism, of which Mr Punch is just one. Riddley Walker is of course science fiction, but it’s almost a fable. I’m loath to use that word, though, as Michael Chabon (in a review of Cormac McCarthy’s The Road) memorably described reviewers bandying about the word “fable”, when a mainstream writer slums it with some SF, as “warming the author’s bathwater a little”. The Road was certainly the highlight of my month’s reading: a stunning book. We’re emotionally invested in the survival of the two main characters and their privations and triumphs, but constantly confronted with the horrifyingly dead and final state of the world. McCarthy conveys apocalyptic doom through the smallest asides or observations; cows and crows are extinct, fish bones line the beach. Every day that the protagonists stave off death, we wonder how long before they give up. So I agree with Chabon’s contention that althought this looks like science fiction, it’s actually literate, highly-skilled horror writing, which seeks to induce dread, and succeeds such that we’re riveted and compelled to read on. This entry was posted in Bookishness on 6 Mar 2012 by Mike. Every time I go into town I accidentally buy two or three books. Well. I’m obviously buying far more than I’m reading and I think we all know who’s to blame. The bookstores. Principal offenders this month were Hard To Find Books in Onehunga, where I picked up the long-sought Ricky Jay volume, and Time Out in Mt Eden, my favourite bookshop in Auckland and indeed all of New Zealand. From Smiths to Scorpio, all the fine bookstores of Christchurch were trashed in the earthquake, but they’ve sprouted again in shipping containers, or in the suburbs. Even amidst the devastation of Lyttelton, its used-book shop popped up again in a back room, and I found a nice clean 1950s edition of Reischeck’s 19th century wanderings around New Zealand. 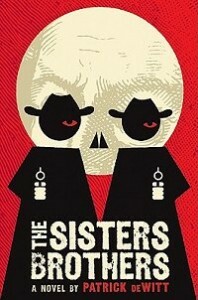 Prominently displayed in Time Out was The Sisters Brothers, frontrunner in the Best Cover Design of 2012 for me. The voice of the shlumpy psychopath Eli Sisters carried me through this parade of memorable vignettes and eccentric characters, and I could almost see how the Coen brothers would shoot some of the scenes. Revisiting favourite childhood books is always a risk. I suspect the Willard Price zoo-collector stories that enthralled me in my youth would not bear up well today. The teenage protagonists were ignorant of CITES and animal ethics guidelines, and the fawning devotion of their various brown-skinned native guides would be a bit sickening. Plus having been a teenage boy at one point I would not trust one to organise a DVD rental, let alone an animal-collecting expedition to New Guinea. So it was a relief to find The Mouse and His Child has lost none of its charm. I remember having it read to 10-year-old me, sitting on the mat in Burwood Primary School—now in the Red Zone and doomed, I think—but I couldn’t remember how it ended; a perfect reason to read it again, 33 years later, spurred by Russell Hoban’s death last December (which also prompted me to add Riddley Walker to the reading list). Surprisingly sophisticated and moving, with metaphorical depth lost on me the first time around, along with the Samuel Beckett parody. Hoban was adventurous and had no qualms about including, in what was supposedly a children’s book, words like chthonic, demiurge, capstan, and mansard. I also grabbed re-issues of the last three Tove Jansson moomin books, and realised I’d never actually read Tales From Moominvalley, which was like finding $20 in my coat pocket. Gorgeous stories for kids that have deep resonance for adults—I’m working my way up to the darkest one, Moominpappa At Sea, which freaked me out as a child. Michael Dirda’s review collection Classics for Pleasure inspired me to track down some authors I’d only vaguely heard of: Firbank was one, and Flann O’Brien another. I eventually figured out The Third Policemen was in the same vein as “Occurrence at Owl Creek Bridge” and The Man Who Was Thursday, but the ending was even neater than I anticipated. A fabulous piece of absurdism, both funny and unsettling, told in a dry and elliptical tone in a distinctly roundabout Irish way. The latest Julian Barnes was read almost entirely in one sitting on the Cook Strait ferry. Barnes likes to make you gradually re-examine both the narrator’s motives and the theme of the whole book. He did it in Flaubert’s Parrot and A History of the World, and tries it again here. It wasn’t completely successful for me, but the biting observations of the unreliable narrator are fun, and it’s a beautifully-crafted examination of the nature of history (explicitly so) and memory. I’ll save The Road until I can compare it with Riddley Walker, next in the queue. This grand reading scheme seems to be working, in one sense: I’m making time in the evenings to open a book, not just aimlessly cruise the Internet. The next step will be to throttle back the acquisitions. Which might be harder. This entry was posted in Bookishness on 28 Feb 2012 by Mike. For a while now I’ve been buying more books than I read. Reading is slow, but buying books is so quick sometimes the sensible bits of your brain cannot intervene fast enough. Having all my books in LibraryThing for a while, though, makes the mathematics of the problem clear. Acquiring 50–100 books a year and reading one only every week or two means, through the application of pitiless Malthusian logic, that I’ll die with over 1000 unread books in an enormous teetering pile beside my bed. This is a good argument for investing in ample shelving, or moving to a remote island and reading for three years, or perhaps even for frittering away less time on the Internet. Something had to be done. To exert some control over the problem, and I am admitting it’s a problem, I decided to monitor my incomings and outgoings over this year (humiliatingly like a Weight Watchers food diary) and to come up with a plan: a reading list I could consciously work my way through. Like a shopping list for someone who only hits the supermarket when they’re hungry. Compiling such a list, picked by the Listener Best Books of 2011 and suggestions from my well-read partner D, was the easy part. Though this looks a little like one of those Great Books One Must Read lists, it’s anything but. I’ll still be compulsively reading randomly, but this should cut down on the impulse purchases. And having a deliberate goal will surely help me set aside more reading time—something that I’ve noticed has been declining every year, with the competition from Twitter, Facebook, ukulele practice, movies, DVDs from Fatso that must be watched, and all the other demands on my free time. In part, this is an experiment to see if reading can be as important as I remember it being in my youth, or even in graduate school. So the question then occurred to me: how long should it take to read this list? Am I being unrealistic? Once again, LibraryThing to the rescue (seriously, if you love your books I can’t recommend this site enough). The list adds up to just over 16,000 pages. That’s 307 pages a week, or 44 pages a day. I tested my reading speed with The Road, and seem to cruise along at 20 pages every 15 minutes. So if I can read half an hour a day, perhaps an hour a day on weekends, I should get through them all. He said blithely. Let’s see. This entry was posted in Bookishness on 17 Jan 2012 by Mike.